Friends, God is still in the business of saving souls! What a terrific time we have had traveling across the country sharing God’s desires for the people of Papua New Guinea! Every church we have been in has been absolutely marvelous and above measure in its graciousness. I would like to share with you the blessings from three recent mission conferences. 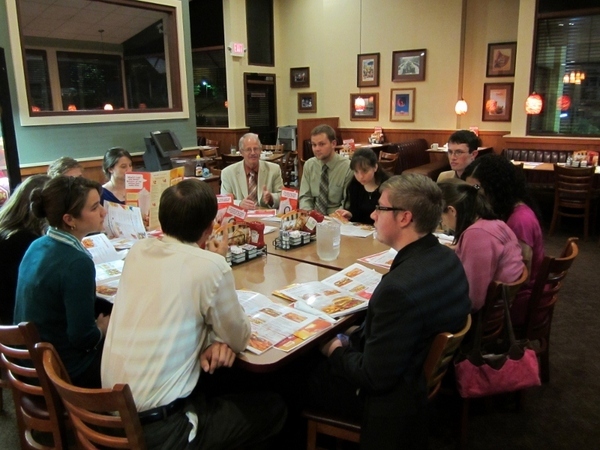 In early September we had a fabulous weekend at Fairpark Baptist Church in Fort Worth, TX. One thing that made this conference very special was the fact that the missionaries were all going to PNG – and all of them, our future teammates! The John Allen family, the Gillispies, and the Florences, along with us, all had an opportunity to share our ministries – it was great to hear all the guys preach! The church was sooooo enthusiastic and a tremendous encouragement to us all. IN JANUARY WE ALL WILL BE AMONG THE MISSIONARIES FAIRPARK SUPPORTS! We had a long drive southeast heading to southern Georgia, so we took a few days to hang out with our kids in South Carolina. Anna, Ben, and Rachel were all in the same spot and it was good to be with them prior to all the wedding craziness! We really enjoyed attending church with our children at Bethel Calvary in Taylors and going out with many of the young adults after evening service! Friends, God is still in the business of saving souls! During the Mission conference at Calvary Baptist in Lake Park, Georgia there was someone saved: Wednesday night, Friday on visitation, Friday night, Saturday on visitation, and Sunday morning! Although each salvation is special, God gave us a “bonus” Friday night. Our hotel housekeeper, Kathy, came to church with her elderly father and Trina had the blessing of leading her to Christ! Trina had invited her to the meetings our first morning in Lake Park. Another great blessing of this Friday night meeting was the attendance of 7 national pastors from other countries, including Uganda, Burma, Thailand, Kenya, and the Philippines! I was so humbled as both a missionary and keynote speaker preaching to these amazing servants of God! They definitely encouraged me far beyond what I could have done for them! October began with lots of traveling and two weddings! In one week we lost a Muldoon and gained one! On October 1 Rachel married Andrew Schellenberger in Cheyenne, Wyoming and on October 8 , Jesse married Katie Diloreto in Sedona, Arizona. It was great to see some old friends and have all the family in one place for pictures! Many thanks to all of you who had a part, and especially to two dear friends, Missionary John Allen officiating the Schellenberger wedding, and Evangelist Chuck Crabtree, marrying Jesse and Katie. Please pray for both these young couples as they begin their lives together. Pray for each new spouse as they learn to biblically fulfill the role God designed for them. Jess is finishing his degree at International Baptist College in Tempe, Arizona, and Rachel and Andrew headed back to Papua New Guinea on October 18 with a three year work permit and visa!!! Between the weddings I had the special opportunity of coming “full circle” from the beginnings of my Christian walk to my current place! Over 30 years ago I drove my team of mules and wagon by a small Indian church in Peach Springs, AZ located on Route 66. On October 5, I preached there! What a wonderful time we had at Hualapai Baptist Church, reminiscing over my salvation and first ministry 15 miles away at Calvary Hogan Mission and sharing our future work in Papua New Guinea! It was just a thrill to be with a second generation missionary, Pastor Steve Deford, son of longtime friends, David and Becky Deford. 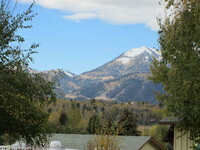 View from Carl & Marie Oksanen Home where we stayed in Jackson Hole, Wyoming - Thanks Much! This past week we have thoroughly been blessed at the mission conference at Mountain View Baptist Church in Jackson Hole, Wyoming! 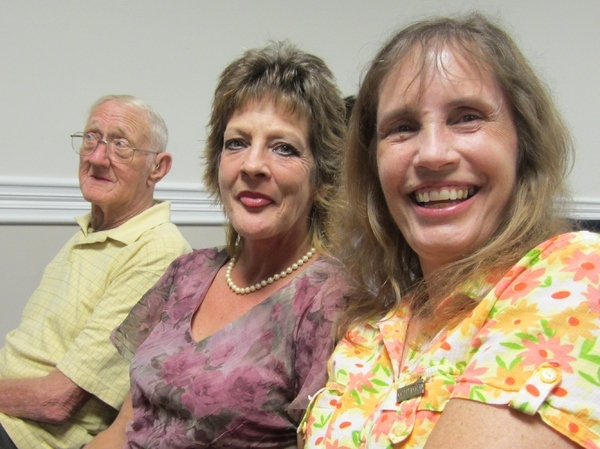 These sweet people have supported us in ministry since our first work in home missions with the Native Americans! What a blessing it was to share with them the future work that they will be a part of in PNG. It has been great to spend time with Pastor King and his family and see their faithfulness! They had a terrific faith promise commitment for 2012 and are excited about the possibility of increasing our support! Many dear folks ask us when we plan to go full time to PNG. This is difficult to answer as we are in the process of raising support. We are gratefully amazed that with just 4 months of full time deputation, we already have about 30% of what is needed!! Our work permit and three year visa will take at least 6 months to process and we are starting to gather the necessary paperwork. The PNG school year begins in January and we would love to get over early enough in 2012 to assist Pastor Jerry in establishing Ihu Baptist Church and be prepared to welcome the first students into the three year Bible school the first month of 2013! 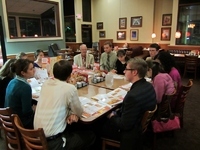 We so appreciate your faithful prayers for safety and God’s blessings in each meeting. We are so thankful to have good friends and churches in Price, Utah; Ferron, Utah; Bowie, Texas, and Cheyenne, WY all contributing to keeping our 1991 Ford Explorer on the road! !